The Business Case for Breastfeeding is a comprehensive program developed by the U.S. Department of Health and Human Services, Health Resources and Services Administration’s Maternal and Child Health Bureau and the HHS Office on Women’s Health. The initiative is designed to educate employers about the value of supporting nursing employees in the workplace. The program highlights how such support contributes to the success of the entire business. Numerous tools have been developed for businesses by HHS to help employers provide support and privacy for nursing employees to express milk. The program also offers guidance to employees on nursing and working. 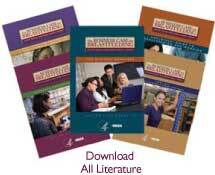 The following HHS resources are designed to help specialists and health professionals educate employers in their communities. This booklet provides business executives and managers, as well as human resource managers, with the business case for breastfeeding…how supporting breastfeeding employees contributes to their company's return on investment (ROI). Return on investment (ROI) is the bottom line in assessing the value of new programs. Research shows that providing a nursing employee support program is not only highly desired by employees who return to work after childbirth, it can also improve your company's ROI by saving money in health care and employee expenses. This booklet, Easy Steps to Supporting Breastfeeding Employees, provides you, the human resource manager, and other members of your wellness team with an integrated approach to implementing a cost-effective nursing employee support program. 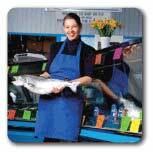 This turnkey method is ready to operate with straightforward planning options and proven strategies. This lactation support kit provides template tools that can be personalized to fit the unique needs of your company. Use them along with your Easy Steps to Supporting Breastfeeding Employees booklet to implement your lactation support program. Congratulations for making the healthy choice to breastfeed your baby! Mothers everywhere have found that they can continue to give their babies important health benefits even after they return to work. This booklet will help you take those first steps back to your working life. 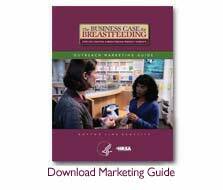 The Outreach Marketing Guide serves as a companion to the employer kit, The Business Case for Breastfeeding: For Business Managers, It is designed for lactation and health professionals to assist in conducting effective outreach with employers in your community.